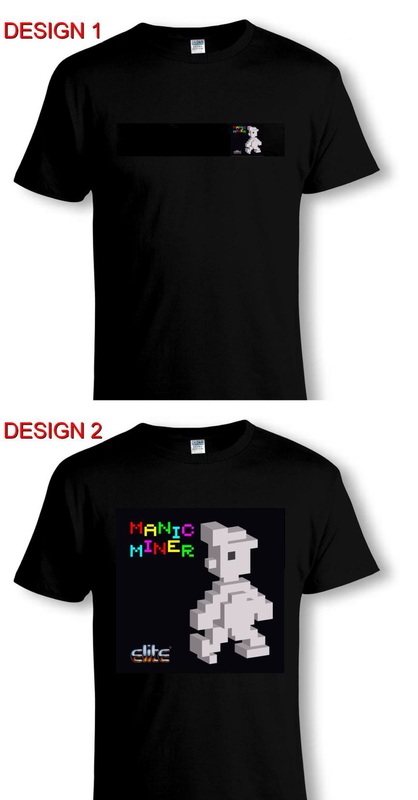 To celebrate the releaseof the Manic Miner® app the limited-edition Manic Miner® T-Shirts are now exclusively available from here. 100% Cotton. Machine Washable. Double Stitched. Each T-Shirt is unisex and so is suitable for both men and women. MANIC MINER TM (C) Elite Systems Group Ltd. & Brigette Barton Siddiqui 2017. All Rights Reserved.